According to the National Association of Colleges and Employers, the average salary of a Certified Public Accountant (CPA) is $73,800 in 2018. 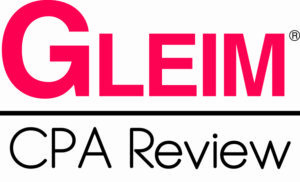 CPA (Certified Public Accountant) career is among the best paying in the United States of America. The CPA profession is expected in 2018 to grow and this is a great opportunity for someone who is entering the job market. 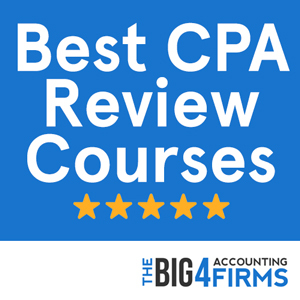 Nonetheless, becoming a CPA is not a very easy task. CPAs must have a minimum of 150 hours of education, pass all four CPA exam sections, and then continue their education after first licensure by concluding CPE. The advantages of becoming a CPA are exciting and can continue to increase with education and experience. The general average salary for college graduates was $41,701 in 2011, however those who graduate with a degree in accounting received an average compensation of $50,500 according to a survey that was conducted by the National Association of Colleges and Employers. The accountants who went ahead and earned their CPA licenses received an average salary of $73,800, with some getting more than $124,000. 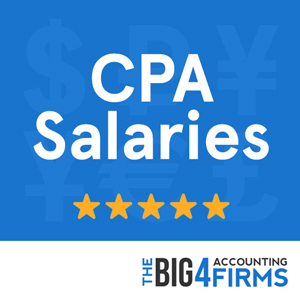 In this article, we will look at the top five firms that offer the highest CPA salaries. Deloitte Touche Tohmatsu Limited, which is popularly known as Deloitte, is the biggest professional services network in the world in terms of both number of employees and revenue. The company recorded a revenue of $35.2 billion in the financial year 2015. The firm offers services that are related to audit, tax, financial advisory, consulting and enterprise risk. The company has a workforce of more than 200,000 spread across more than 150 countries. Its headquarters are in New York City, USA. This Company is popularly known as PwC. It is a multinational company which provides services such as legal services, consulting, actuarial, audit, financial advisory, and tax advisory. The firm recorded a revenue of $35.4 billion in the financial year 2015. It has a workforce of more than 180,000 professionals spread across the 159 countries. It has offices in 776 cities and its headquarters are in London, United Kingdom. In the US, PwC United States is the 5th biggest privately owned firm. The firm was established in 1849 and is commonly known as EY or E &Y. It is the world’s biggest professional firm. In the financial year 2015 it recorded a revenue of $28.7 billion. Its headquarters are in London, UK. The firm operates in more than 150 countries in the world. It has a workforce of 175,000 people who operate in more than 700 cities in the globe. The firm provides service that are related to consulting, financial audits, financial advisory, taxation, and assurance. The Company has its headquarters in Amstelveen, the Netherlands. KPMG is the last of the Big 4 firms which includes Deloitte, PricewaterhouseCoopers, and Ernst & Young. The company recorded a revenue of $24.44 billion in the financial year 2015. The firm has a workforce of more than 150,000 people who are working full time across the globe. It offers services such as consulting, financial advisory, risk management, tax, and audit. The firm has a large workforce in India, China, United Kingdom, and United States. The Company is a member firm of Grant Thornton International. The headquarters of the firm are in Chicago, USA. The firm offers services such as advisory services, taxes, and audit. Areas of expertise and specific advisory services include business valuations, tax, mergers and acquisitions advice, and Sarbanes-Oxyley compliance. The industries that it targets include technology, quasi-governmental organizations and public sector, government contracting, financial services, consumer products, construction, and not-for-profit. In 2015, the firm recorded a revenue of $4.7 billion. It has a workforce of 6,456.